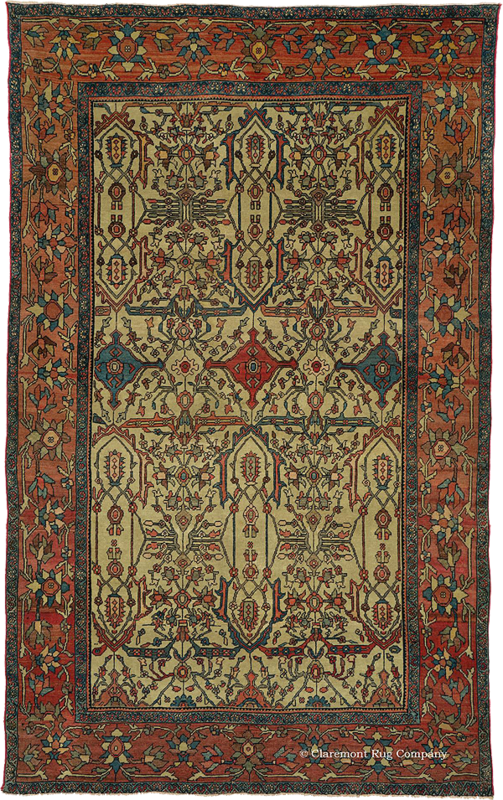 The Ferahan region of West Central Persia developed a distinctive rug weaving tradition which blended local geometric influences with more refined and curvilinear designs. 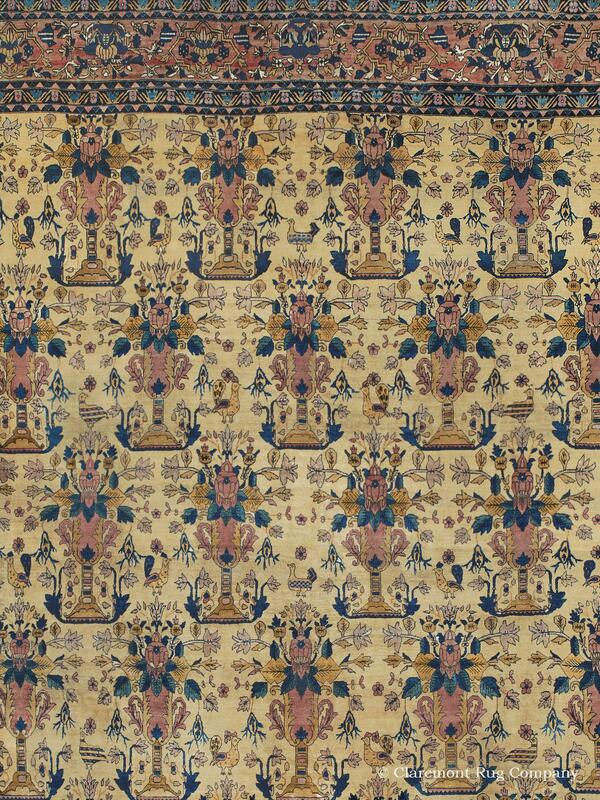 Their highly skilled weavers and artisans have long been revered for creating carpets using a densely knotted weaving style displaying unique floral designs. 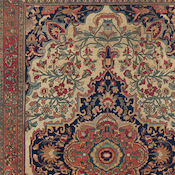 The best Ferahan carpets woven during the 19th Century are considered to be among the most original and artistic of antique room size Persian carpets.  Their high-grade wool, spirited uncompromising workmanship, vibrant color palettes, and durability have made them the carpet of choice for many European and East Coast families since the middle of the 19th century. This fertile area produced two similar but also distinctively different styles, known as ‘Ferahan Sarouk’ and simply ‘Ferahan’. 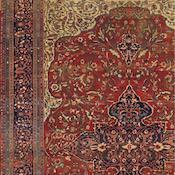 The Ferahan carpet is typically found with denser knotting, intricate allover patterns and a skillfully shorn low pile. Alternately, the Ferahan Sorouks tend to have a somewhat heavier weave with graciously drawn teardrop or sunburst medallions, and distinctive corner spandrels. 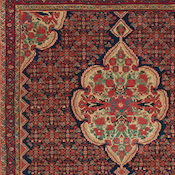 In the best antique Ferahans and Ferahan Sarouk rugs, each petal and leaf is slightly unique in its size, color tones and execution, creating a fascinating process of discovery for the viewer. 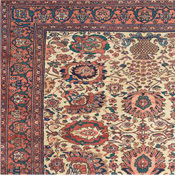 These antique Persian carpets offer a wide spectrum of vegetable dyed colors which have mellowed to soft yet rich shades. One exemplary color is the depth of the midnight indigo shade they used so effectively as a counterpoint or backdrop to the rest of the brilliant antique color palette. They are also known for their abundant use of seldom-found tones of green, including soft celadon, rich apple, and deep forest greens. 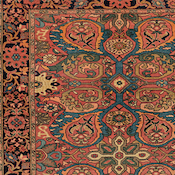 The art of streaking color, a technique known as ‘abrash’, was developed in antique Ferahan carpets to a high degree, and is used profusely in 19th century-examples. 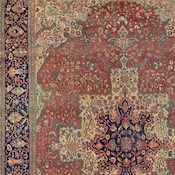 Occasionally in these early antique carpets, the base color will change dramatically from one end of the field to the other, a traditional technique that can produce great drama and a sense of perspective. 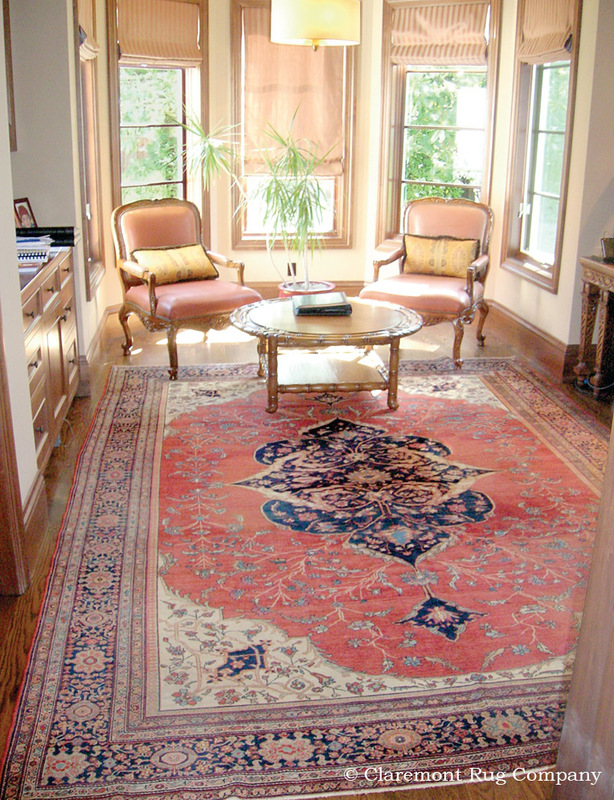 Today, the best Ferahan and Ferahan Sarouk carpets have become a favorite of connoisseurs for their original, elegant ambiance. 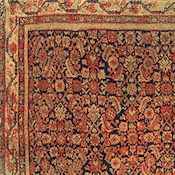 The antique carpets from this region were woven in area sizes, and small to large room sizes, while oversize and palace-sizes were only rarely taken on commission. 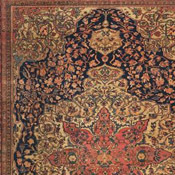 As a whole, true art-level antique Ferahan and Ferahan Sarouk carpets in good floor condition are now very difficult to find overall and are extremely highly regarded.